I am all for meeting new people. I believe everyone, everyone, has something to teach us. I also believe that there are some people that represent much more than just their single life. They are these vessels of love, light, and faith. These people better our lives without really even trying. They are who they are, and that is plenty. As I write these things, I think of a new friend of mine, Haley Jo. Haley Jo was a name I had heard. Nothing but a name for months. I heard bits and pieces of her spending time in Jinja, Uganda, I heard she was walking in blind faith, trusting God, I heard, I heard, I heard. So, on a calm day off I decided to look up her profile on Instagram. I read her blog. I cried, I laughed, I became so happy to know there was a Haley Jo in the world. I emailed her, and instead of simply hearing from others about this fearless human, I heard about Haley from Haley. I got to listen to her open her humble heart. Her abiding love for Jesus, and in return how she aims to love everyone as He does. 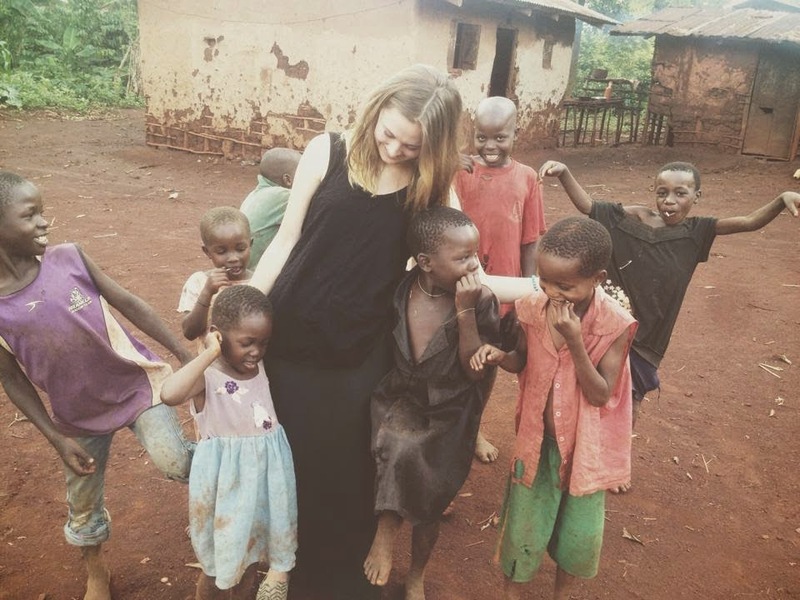 Haley signed up for a three month internship with SoleHope, in Jinja, Uganda. 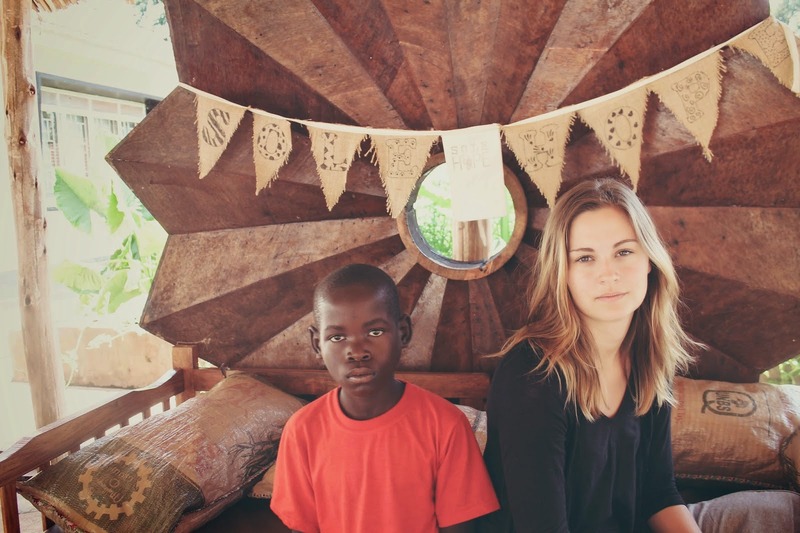 After the three months ended, she came home, only to buy a one-way ticket back to Uganda to continue serving the children there, loving others and sharing God's light, and trusting His plan for her. 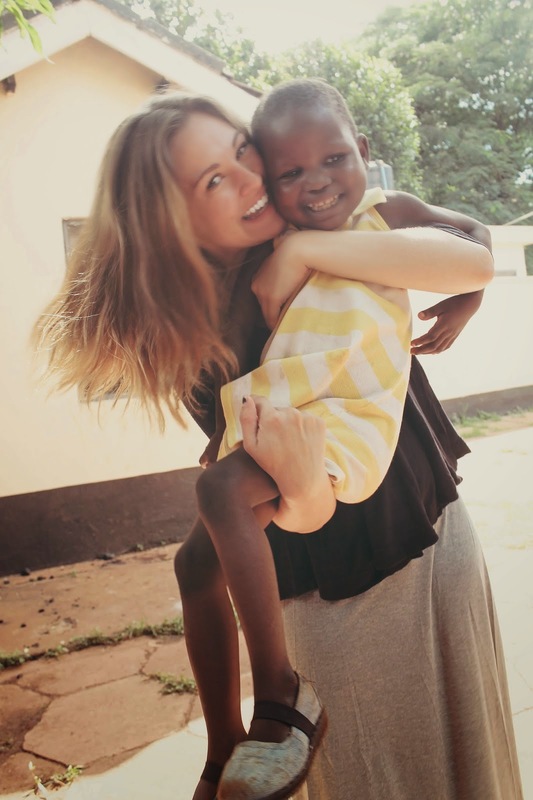 She is currently spending most of her time at Arise and Shine Uganda Babies Home, attending clinics through Sole Hope, and living with and helping a family in Uganda. Thank you, Haley Jo, for making me so proud to be apart of something larger, thank you for reminding me that there is so much beauty to witness when we choose to surrender and love. Thank you for being you, the world needs more of it. What are the most important parts of living a meaningful life? 1) To me the three most important parts of living a meaningful life are giving, suffering, and sharing. Of course, these three things don't "make" a meaningful life. You choose if you want your life to be meaningful or not. One can give, suffer, and share their journey with everyone that comes into contact with them and not live a meaningful life. I think the utmost important aspect is wanting your life to be more, wanting to leave a legacy that traces back to Jesus, and knowing deep down that your existence can change the population of the Kingdom. Once you truly know that- give everything, don't hold back and don't ask questions. You don't need to know where your money is going, if they will sell your donations, or if that person is REALLY hungry or not- we aren't asked to question, we are asked to just give. Suffer hard, knowing that you don't suffer the trenches alone. Even when you walk through the shadow of death, still He is with you. (Ps. 23:4) That suffering will allow even greater triumph. Life will taste sweeter, laughter will silence sorrow, and joy will pierce through fear, worry, and anxiety. And share it all. The dirty, hard, stinky, bitter, and often times hard-to-swallow pills. Share all the happy and all the sad. All the good and all the bad. All the tears and all the belly laughs. All the Indian food and all the avocado. All the fears and all the secret dreams. Everything. We need each other more than anything, and if we actually SHARE our lives with each other, we see more, feel more, live more, and ultimately love more. And when it comes down to it- A life without love has no meaning. A meaningful life is one that loves. 2) Who do I look up to? That's a loaded question. There are so many people I look up to. I have been seriously seriously blessed with some fantastic mentors, and women role models. From the parents who raised me to the girls in my very first small group (where I named Jesus my Lord and savior) to watching Christine Caine speak at Catalyst to living in a home of some of the most giving, wise, and wonderful people in the world here in Uganda- I look up to so many God-fearing, do-ers. I want to be a do-er when I grow up. What are three non-essential things that get you through the day? 3) Easy. Peanut M&M's. Coffee, duh. And avocado. (Anything that goes in my belly, clearly). 4) I don't really know what the world needs more of... but I can tell you what we need less of... I think we need less cynics. Less people saying "no", less people saying "you can't". We need less fear, and more people willing to risk the ocean. Less hate, and more people willing to love beyond comfort. Less finger pointing, and more unifying despite differences. Less questioning, and more doing. I think we just need more Jesus. 5) As cliche and mushy-gushy as it sounds- I just want to love people. And not love as in walk down the streets smiling at everyone, talking to strangers, and giving to the poor. I've done that. That's easy. I want to love the Hitlers and Bin Laden's. I want to love the mothers I see neglecting their children. I want to love the fathers that sexually abuse their babies. I want to love the people that I want to hate. Humanly, I don't actually want to at all. Not even a little bit- but I want Jesus, and He says "forgive them for they know not what they do"- and He asks me to love them as He does. And I fight my flesh every single day to love them the way He does. Unfortunately, most of the time my flesh wins- but when He does, I get closer to that untouchable heart of Jesus and let me tell you... It's more satisfying than anything this earth has to offer. Tell about a moment in your life that has shaped your belief system. A single moment that your heart holds onto forever. 6) I am going to be honest with you- I don't think I've had a life-changing moment. Maybe I have, but not one that particularly sticks out. Moments have changed my life but it's usually the kind that should change anyone's life: Skipping school my senior year to go to the hospital to be with my mama and feed my grandma after watching Alzheimer's slowly take her mind away. Being baptized with my whole family. 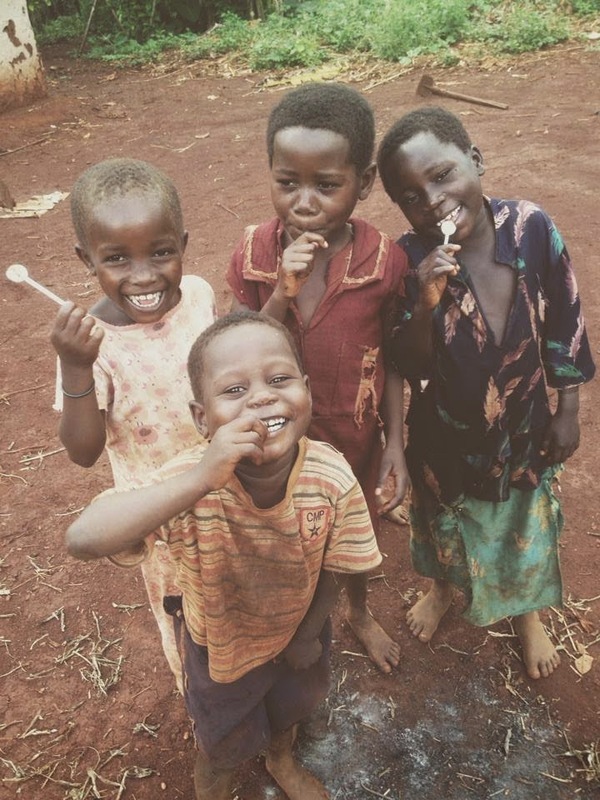 Living in Uganda seeing & experiencing a completely new culture first hand. Feeding babies on the floor of an orphanage. All of these, and more, have changed the course of my life in significant ways. But I wouldn't say any of them were monumental. It's the daily grit that has the biggest impact on you & your heart. So if you are waiting for something huge, a giant tsunami, your probably missing your biggest "moments". 7) Ah, My favorite quote is probably 1 Peter 2:9, "that you may declare the praises of Him who has called you out of darkness and into His marvelous light". Declare those praises, and step into that light. Darkness cannot exist where there is light. 8) Life is going to be exactly what you expect it to be. It will be hard, and sad, and sometimes you will want to quit- but if you expect to come out on the other side: you will. If you expect to be joyful: you will. If you expect The Lord to move and shake and use you to pieces? He will. 6 months ago when I applied for a 3 month internship in Jinja, Uganda on a whim- I had no idea what was ahead of me or that, now, I'd be writing this in my bed, in my house, with an amazing family I met 2 months ago, still here in Uganda. I had no idea what my future looked like, and honestly still don't. But through the process of obeying Jesus (which let me tell you... It's a process)... I am still here. And I'm so happy to be. It's not that insane in my mind- but I think that's because I already expect insanity from Jesus. Kinda like Noah and the Ark. He just looooves proving us wrong- and when I said "I can't" He said "HAHA you're so right. But I can." So here I am, living in Uganda, not sure how long, not sure why, not really sure what I'm supposed to do... It's not an easy task, but it almost never is. I'm here strugglin' just like you are wherever you are. Following Jesus isn't supposed to be easy- it requires faith that surpasses all understanding. But I'm sure that I just need to follow Him and love everyone that falls in my path- and He will do the rest. 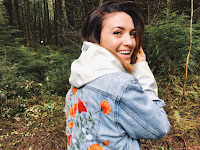 All of the beautiful photos in this post are from Haley Jo's blog, wearethehandsandfeet.blogspot.com.